The ivory trade is among the most complex, brutal, and increasing dire problems facing the planet today. In 1980, there were 1.2 million African elephants. Now, there are fewer than 420,000. Illicit Ivory, the latest installment in the long-running Earth Focus television series, frames the issue in the starkest of terms. Unraveling the tangled web that spans from Somalia to China and beyond, the investigative report comes at a time when an elephant is killed by poachers every 20 minutes. Because of the insatiable desire for ivory, African elephants may face extinction in as little as 10 years. Ecouterre caught up with producer Raisa Scriabine to learn about ivory’s ties to militia groups and insurgents, why China drives the bulk of its trade, and what we can do to stop the killing. How did Earth Focus come to be interested in the ivory trade? We first found out about this issue through work done by the Terrorism, Transnational Crime and Corruption Center at George Mason University. This led to our collaboration with a large number of organizations working on various aspects of the issue: the Environmental Investigation Agency, Born Free, WildAid, International Fund for Animal Welfare, the Wildlife Conservation Society, the U.S. Fish and Wildlife Service, c4ads, and others. What’s behind the recent rise in ivory trading? There are several factors: China drives the demand for ivory comprising 70 percent of the world’s ivory market. China’s booming economy created a large and growing middle class of some 300 million people who can afford to buy ivory—a status symbol in China. China also has a long cultural tradition of ivory carving. The skyrocketing cost of ivory on the black market—raw ivory sells for as much as $3,000 per pound—brought in transnational organized criminal syndicates who move huge amounts of ivory from Africa to Asia. These are professional smugglers with experience in moving illicit goods across international boundaries. They also traffic guns, narcotics, and people. Ivory is good business for them because it’s high profit and low risk. 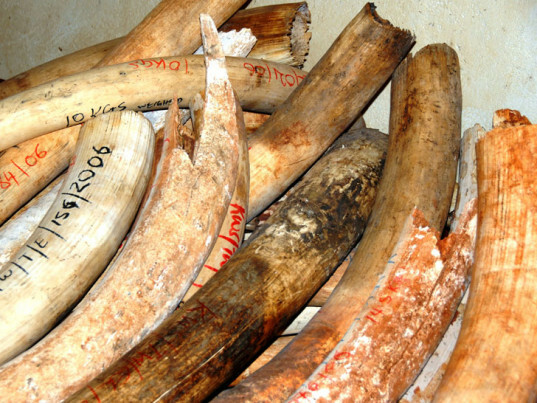 How does the ivory trade contribute to warmongering and terrorism? In Africa, Joseph Kony’s Lord’s Resistance Army trades ivory for guns, ammunition and cash. Kony is wanted by the International Criminal Court for crimes against humanity. The Janjaweed, a militia allied with the government of Sudan, is associated with the genocide in Darfur that claimed almost half a million lives and displaced more than a million people. The Janjaweed travel great distances to massacre elephants throughout Central Africa. 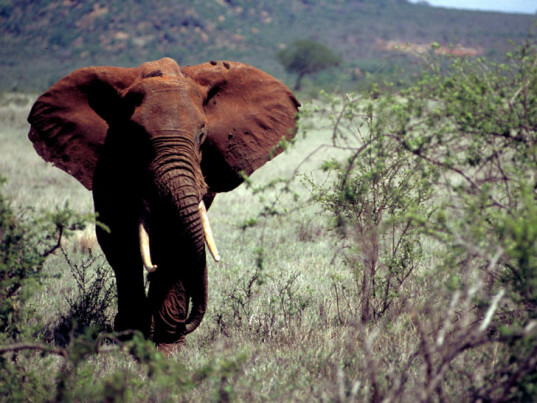 The Al Qaeda–affiliated Al Shabab in Somalia levies taxes on ivory that passes through its territory to port cities on the Somali coast and engages in cross-border elephant poaching in Kenya. Such groups destabilize an already fragile region. Ivory trade makes them stronger and more powerful. 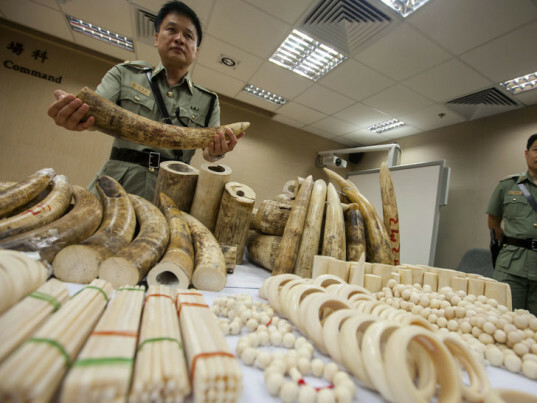 These groups also collaborate with transnational organized crime syndicates to ship illegal ivory to Asia. The fact that ivory funds insurgency, terrorism, and the growth of transnational organized crime is an issue of global security, as well as conservation. As a result, it’s getting a lot of attention and a large number of diverse groups are involved in trying to stop illegal ivory trade, from enforcement agencies and financial institutions to conservation and environmental groups. How can we—that is, governments, nonprofits, and consumers—ease ivory trafficking? We researched and produced the program entirely from Washington, D.C., in consultation with groups working in Africa including environmental security firm Maisha Consulting in Tel Aviv and the Wildlife Conservation Society office in Nairobi. Easing the trade requires a multifaceted approach to stop the buying, stop the trafficking, and stop the killing. There are groups working on all these areas to encourage Chinese consumers not to buy ivory, destroying stockpiles of legal ivory around the world, cracking down on illegal shipments of ivory at ports, and increasingly using sophisticated technology and communications to track poachers. It’s also important to increase penalties and convictions—to treat illicit ivory trafficking as a crime on the same level as trafficking weapons or people. And it’s important to follow the money trail and crack down on ivory money laundering by transnational criminal organizations. You’ve produced the Earth Focus series since 2005. How effective is television (and, by extrapolation, film) as a delivery system for global issues? Earth Focus is a weekly 26-minute program broadcast in the United States on KCET in California and on Link TV nationally. Many of our programs, like Illicit Ivory, are investigative reports. Our relatively short, comprehensive reports, accompanied by print materials on the web, provide viewers with the key fundamental information they need to be informed on a given issue. Many of our programs have been used in campaigns, in town hall meetings, in classrooms, and even in a state legislature—all aimed at bringing about positive change. It has been said that a picture is worth a thousand words. A film not only addresses the mind but also the heart of the viewer. Shown in a group setting, it can stimulate powerful discussion and meaningful action that hopefully will help make our world a better place. Elephants have been on this planet for two million years—far longer than modern humans who have inhabited Earth for only 200,000 years. Now they are on the brink of extinction because of human greed. I want people to know that elephants are sentient beings. Elephants are intelligent, feel joy, grief, and even have a sense of humor. They are very much like us. The ivory trade is among the most complex, brutal, and increasing dire problems facing the planet today. In 1980, there were 1.2 million African elephants. Now, there are fewer than 420,000. Illicit Ivory, the latest installment in the long-running Earth Focus television series, frames the issue in the starkest of terms. Unraveling the tangled web that spans from Somalia to China and beyond, the investigative report comes at a time when an elephant is killed by poachers every 20 minutes. Because of the insatiable desire for ivory, African elephants may face extinction in as little as 10 years. 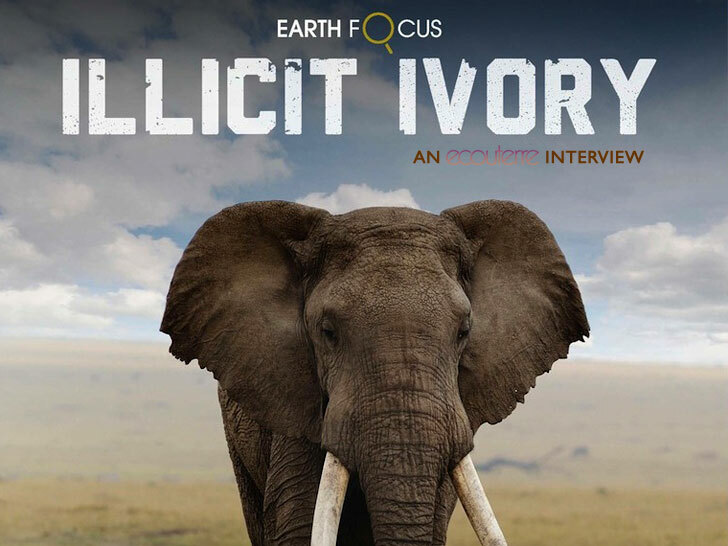 Ecouterre caught up with producer Raisa Scriabine to learn about ivory's ties to militia groups and insurgents, why China drives the bulk of its trade, and what we can do to stop the killing.